fall 2011 | It can't be helped. Thanks to Animax Asia (here’s your clue to finding out where I am) seemingly being Gonzo’s number one fans, and thus reviving their same-day fully subbed simulcast of a selected TV anime in Japan–they started last year with FMA: Brotherhood but fizzled out after Maid-sama–I was able to watch the first episode of Gonzo’s effort at resurrection, the continuation of one of their most beloved original anime, Last Exile. The eight years that had passed between the first anime and this one saw many changes to the studio, ultimately ending up to their one-year or so sabbatical. Studios such as David Production and Studio Gokumi have since then split up from them and have gone on to produce their own TV anime, with varying success. And now, this new foray into an old series is the studio finally proclaiming, announcing to the world that they’re now back. But are they, really? So, here we are again: round 2 of my rundown of the first episodes of the newly aired TV anime this fall season. I haven’t watched all of them, but the few that I did were a mixed bag of pleasant viewing and prettified boredom. Anyway, I just watched ep 1 of Naoto Hosoda’s latest TV series Mirai Nikki (produced by asread), an adaptation of a manga of the same name, and I found it to be surprisingly engaging despite my reservations concerning the material and everything else. I have no idea who or what kind of director/animator Naoto Hosoda is (though I did watch the first Koe de Oshigoto OVA, which was reasonably fun enough), but I saw in Mirai Nikki ep 1 that he was a capable director who knew how to evoke mood and control the pacing of whatever it is he’s working on to make the piece quite interesting and entertaining. The episode was brisk and crisp, getting straight into the nitty-gritty, seemingly without any wasted scenes, and the art/animation worked well enough to bring about some definite sense of suspense and dread during the particularly darker parts of the ep. I was also delighted to see that the character designs weren’t cheaply realized, but were rather pretty and elaborate enough to really seem like a step-up from their manga counterparts and to function effectively in animation–both in stills and in motion. I didn’t like how they resorted to rendering the Deus ex Machina character and his world in CGI, though, but since this is a TV anime and animating them normally would have been too much of a pain for the studio, I guess I can’t complain too much. Director Naoto Hosoda was in charge of storyboards/direction for episode 1. Two, maybe three weeks ago I finally managed to rewatch one of the earliest highlight episodes of the Kenshin TV anime, situated in the first few eps of the famed Kyoto arc (around the time when Saito is first introduced)–the episode in question being the one in which Kenshin decides to leave his home to do battle with his nemesis, Shishio, after the set of events put in motion by the introduction of a new character. Of course, the prior episode was good as well (Saito vs. Kenshin), with some deliciously intense action, bits of which contributed by no less than Norio Matsumoto himself (series chara designer Hideki Hamasu was there as animator as well), but it’s in the next one where the quality is upped to a higher level. Surprisingly, it’s not even an action-packed episode; rather it was the direct opposite, as instead it was an ep focused entirely on drama and character emotion. Kenshin’s farewell, to my mind, was indeed one of the best episodes of the series because it successfully combined powerfully acted emotion and drama with the subtle, foreboding sense of dread and trouble of the slowly unfolding events of the plot in the span of only 24 minutes–ordinary TV episode length. It’s markedly different from the rest of the eps prior to it. The surrounding chain of events leading to our hero’s departure were masterfully spaced and greatly condensed with the clear sense of trouble and disaster looming on the horizon, steadily building up to the emotionally charged farewell scene between Kenshin and Kaoru, which served as a great, cinematic climax for the episode. The ep had more tension and impact than usual. Even the drawings themselves are of a higher quality than usual (aside from Yasuhiro Aoki’s eps as AD). 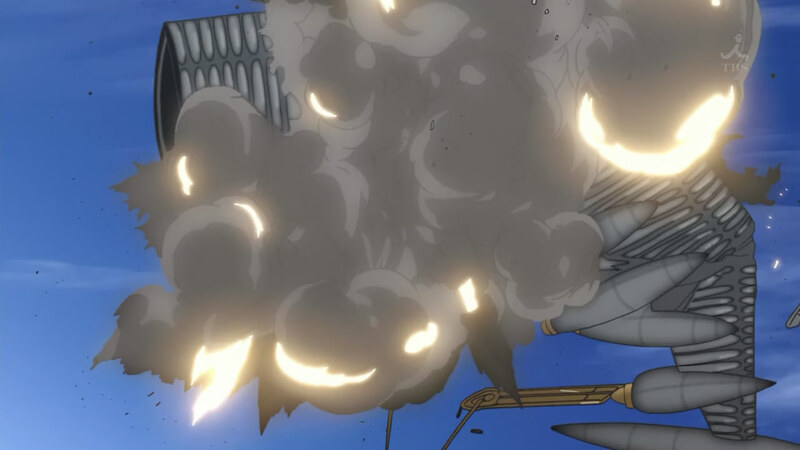 It’s a testament to the effective work by the main team of the ep–Kazuhiro Furuhashi/Norio Matsumoto for storyboards, Kazuhiro Furuhashi direction, Masahide Yanagisawa animation direction (Yanagisawa also came to provide the designs for the subsequent Trust & Betrayal OVAs, whose designs I believe are the best in the series). I bet it was Matsumoto himself who’d composed the storyboards for his own section, the actual farewell scene at the end, which was a showcase of his skill as a great animator, not only in terms of action, but also in his handling of believable human acting. He had complete control over the entirety of the scene, which shows in the end result. Delicate drawings coupled with sensitive animation made the scene as rich as it was. It is another proof that anime is, in fact, capable of transmitting genuine human emotion to the viewer despite its different look; it only depends on the men behind the scenes. So I’ve been gone for about three weeks, and now I find myself catching up with the latest anime season (fall), which has finally gotten itself underway this past week, providing yet again a considerable smattering of new TV anime and such to pass the time and entertain me. But anyway, since I’ve been getting absent for more often now, I think I won’t be able to keep blogging cartoons with the same frequency as before. Still, if there’s something interesting that catches my eye, I’ll try my best to write my thoughts about it here–mental exercise, and all that. As such, this blog is still very much alive, though not kicking as hard.